Dr. Lin is the founder of the American GNC Corporation and the driving force behind AGNC's many accomplishments. Dr. Lin began his illustrious career at the University of Michigan in Ann Arbor, where he received his Ph.D. degree in Computer, Information, and Control Engineering in 1980. During his teaching career at the University of Michigan in Ann Arbor and at the University of Wisconsin in Madison, he consistently pursued several areas of critical importance to modern technology and carefully evaluated, in both theory and practice, the implications of their development and integration. Dr. Lin authored over 400 technical publications and was responsible for over 100 patents and patent applications. Over the same time period, he was responsible for over 1,000 government contract reports. In the last ten years, he led the effort to introduce over 30 GNCC products. With a rare combination of talents that allowed him to be a leader in creating highly successful products, based on a thorough understanding of advanced technical principles. 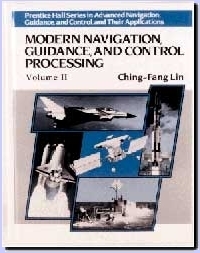 These talents were manifest in the world's first and still best selling book series by Prentice Hall on GNCC systems and their applications, including GPS in 1990. Dr Lin's career spans more than 25 years of teaching, research, industrial applications work, and senior management within the fields of guidance, navigation, control, and Communication (GNCC). He developed a miniature size, coremicro IMU, which is low cost and uses little power. It represents a unique product that has immensely expanded the applicability of navigation systems. The many projects that Dr. Lin has been responsible for have applications encompassing personnel tracking, aircraft, marine vessels, ground transportation vehicles, missiles, spacecraft, armored vehicles, helicopters, submarines, robotics, space structures and uninhabited air/underwater vehicles. As a world class and prolific researcher, Dr. Lin made fundamental and diverse contributions to GNCC. His work is of the highest quality and is broadly utilized. He addressed and solved many important problems in the development of modern high tech systems. One of the excellent attributes of this research is the proper balance he achieved between theory and its applicability to real world GNCC problems. This work is well known and regarded by his peers. His visionary pursuit of advanced research and technology impacts a broad range of critical areas such as ground/mix air proximity warning systems, spacecraft docking systems, robotics, intelligent autonomous hierarchical information, autonomous decision and control, "Modeling, Design, Analysis, Simulation and Evaluation" (MDASE), and environment recognition and adaptation. He recognized the full potential for current methods and adopted far-sighted approaches to future problems. Dr. Lin developed innovative products and methods, procedures, algorithms, hardware and software tools for the analysis, design, simulation and evaluation of autonomous systems. This multidisciplinary approach to intelligent vehicle control is an integrated GNCC system blending the most powerful elements of modern theory within a practical framework. The system includes several different types of advanced sensors, such as: hyperspectral, visible, infrared, laser ranging, passive millimeter-wave imaging devices, and multiple sensor configuration navigation systems, such as AGNC designed Fully-Coupled GPS/INS systems incorporating the coremicro IMU. 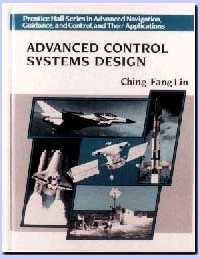 Dr. Lin developed extensive GNCC techniques which provide effective, reliable, and inexpensive means to enhance flight safety. He also developed the design of collision avoidance systems that detect and react to safe flight/driving threats.